A file photo of acting Interior minister Fred Matiang’i during a press conference at Uhuru na Kazi buildings in Mombasa after a meeting with county security bosses. Kenya has deported 30 people involved in drug trafficking within universities, acting Interior CS Fred Matiangi has said. In April, the government launched investigations in public universities following reports that drug cartels were operating openly. 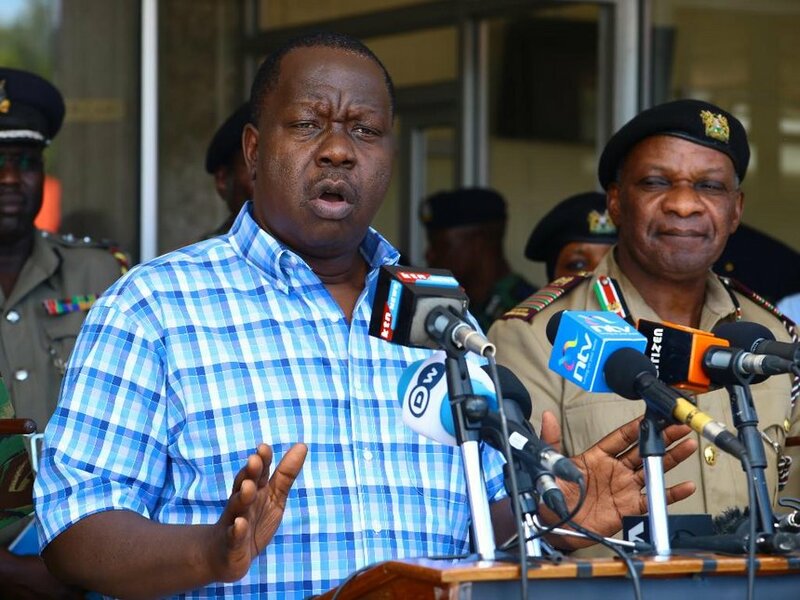 Matiang’i, who is also the Education minister, said some drug lords were using students to sell hard drugs in universities, leading to an increase in cases of unrest. Matiangi said the government asked the institutions to ensure the drugs are done away with. “We have been fairly ruthless in deporting international students who have either been caught selling drugs or are part of cartels,” he said. The Cabinet Secretary said the was on drugs has been successful but is not yet over. “Let me not pretend…we have not been 100 per cent successful in control. The traffickers think ahead of us in terms of how they move the drugs,” he said. Early in the year, President Uhuru Kenyatta talked tough against drug dealing during a visit to the Coast, when he said that his administration would eliminate barons. But he has been criticised for reiterating his remarks over the years while the illegal business carries on. Deputy President William Ruto noted that money from drug dealing is used to fund terrorists. Al Shabaab militants have continued to carry out attacks in several parts of Kenya in response to the KDF’s presence in Somalia, as part of the AMISOM peacekeeping force.